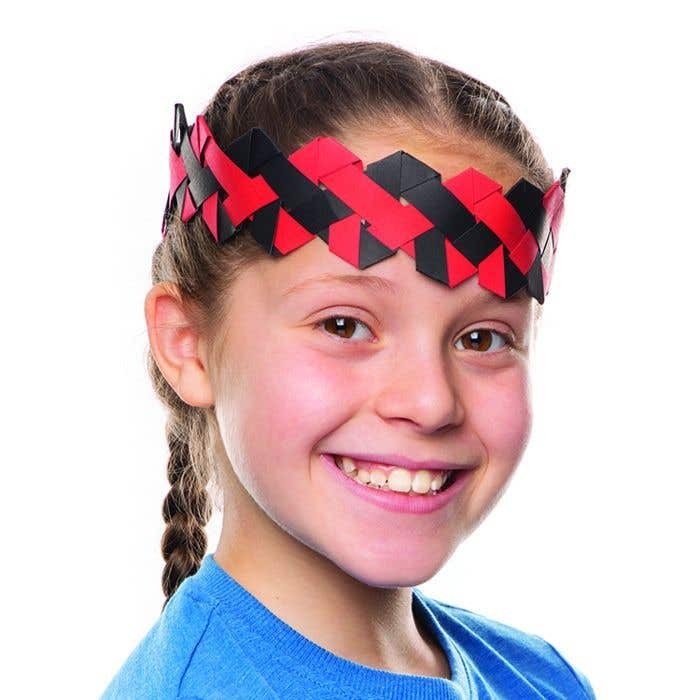 Create a traditional Maori tipare headband using coloured card! 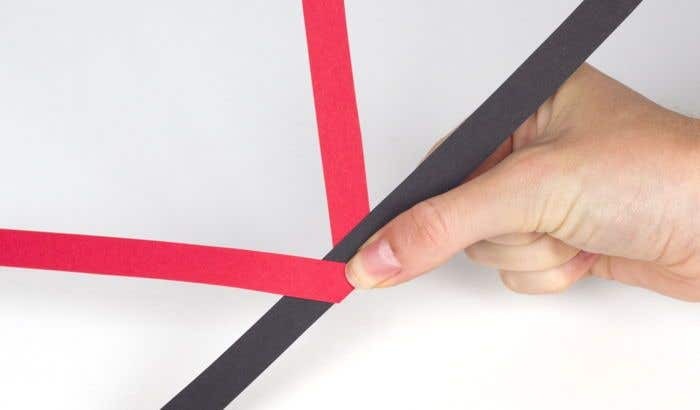 Take a sheet of red card and cut it lengthways to make multiple strips that are 1cm wide. Repeat this with a sheet of black card. 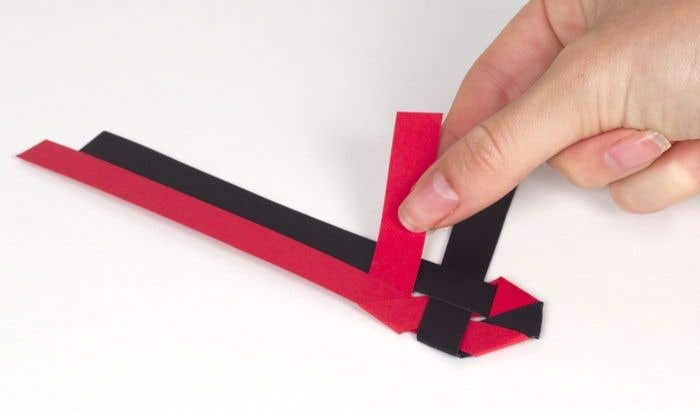 Fold the red strip into a V shape and wrap it around one of the black strips. Then take the strip on the far right, fold it underneath the 3rd strip to make it parallel to the 2nd strip. 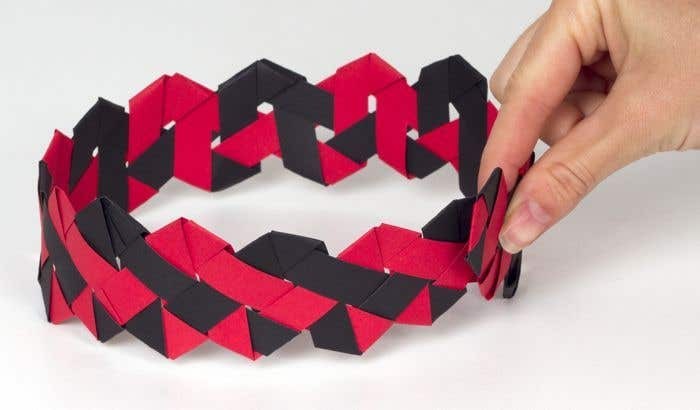 Take the end of the strip on the far left and fold it over the top of the 2nd strip, then underneath the 3rd strip, to make it parallel to the 4th strip. Creating a large V shape. Take the strip on the far right, fold it underneath the 3rd strip and over the top of the 1st strip. Then use the same strip, fold it under the 2nd strip and over the top of the 3rd strip, parallel to the 4th strip. Take the strip furthest left, fold it underneath the 2nd strip, underneath the 3rd strip, and then over the top of the 4th strip. Then use the same strip, fold it underneath the 3rd strip, over the top of the 2nd strip and parallel to the 1st strip. Repeat steps 4 and 5 until the band is long enough to fit around your head. When you run out of card, use double-sided tape to attach another strip to the end of the one that has run out. Once your band is long enough, use double sided tape to stick the two ends together to create the headband. Make note of which side is the top, so that if you turn it over you can keep track of which way round it is supposed to be.